Chlorphenamine Tablets contain the active ingredient, Chlophenamine, which is an antihistamine that is used to control the symptoms of allergic conditions, such as hayfever, runny nose, itchy skin, insect bites and food allergies. 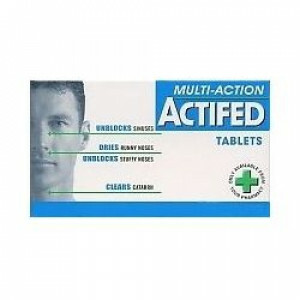 Each tablet contains 4mg of Chlorphenamine Maleate and can control allergic reactions which are responsive to antihistamines. Chlorphenamine is the active ingredient found in Piriton Tablets.